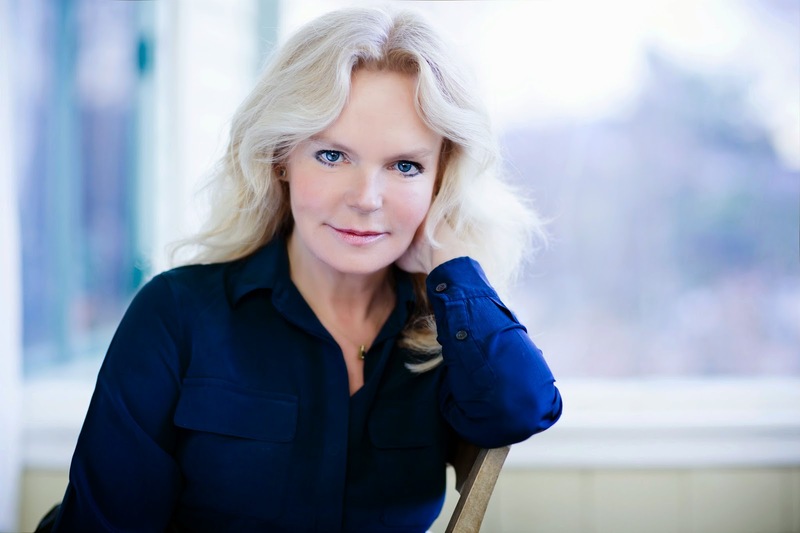 In an all new author Q&A Session, we have today, Lucinda Riley, the international best-seller author, whose works have been translated into 28 languages and published in 38 countries. With her new seven- book series, The Seven Sisters, Lucinda is here to talk all about books, her journey and life beyond books. Read along to know more about this incredible and most amazing best-seller author of our times. Me: Hello and welcome to my blog, Lucinda. Congratulations on your new book, The Seven Sisters. Please briefly share with us the story behind the book, The Seven Sisters. Lucinda: ‘The Seven Sisters’ is the first book from my new seven book series also called ‘The Seven Sisters’. The book - each one following the story of an individual sister – is based loosely on the mythology surrounding the famous star cluster. The first book is set in Geneva – the childhood home of all the sisters – who gather together when they are told that their beloved adopted father, Pa Salt, has died. They were all adopted by him when they were babies and it is only after his death that they are given clues to their original heritage in the form of an armillary sphere found in the garden, and individual letters passed onto them by the family lawyer. Eighty years earlier, in the Belle Epoque of Rio, 1927, Izabela Bonifacio’s father has aspirations for his daughter to marry into aristocracy. Meanwhile, architect Heitor da Silva Costa is working on a statue, to be called Christ the Redeemer, and will soon travel to Paris to find the right sculptor to complete his vision. Izabela – passionate and longing to see the world –convinces her father to allow her to accompany him and his family to Europe before she is married. There, at Paul Landowski’s studio and in the heady, vibrant cafes of Montparnasse, she meets ambitious young sculptor Laurent Brouilly, and knows at once that her life will never be the same again. Me: What was your inspiration behind the series of books, The Seven Sisters? Lucinda: In January 2013 I was searching for my next story but wanted to find an overarching angle to add another element to my past/present writing, something that would challenge and excite me – and my readers. I had always watched the stars – especially the Seven Sisters in the belt of Orion, and on that frosty night in north Norfolk, I looked up to the heavens, and, thinking also of our own seven children, came up with the idea for a seven book series based allegorically on the legends of the Seven Sisters constellation. Me: The Seven Sisters is set across Rio de Janeiro, Paris and Geneva. Did you travel extensively for the purpose of research? And how was your experience to those exotic places? Lucinda: It was on a promotional tour for ‘Hothouse Flower’ in the summer of 2013 in Brazil that gave me the initial inspiration behind Maia and Izabela’s story. Having already fallen in love with the country and its people, I realized I had never read a book based there. I went up Corcovado Mountain to see ‘Christ the Redeemer’, stood in front of him and marveled at the statue. I wondered what stories lay behind its construction almost a century ago, so I began to investigate. About five months later, I returned to Rio de Janeiro and rented an apartment in Ipanema and lived for a month like a local. I could see the beach and Christ the Redeemer as I wrote the story. It was there that I discovered my neighbor was Bel Noronha, the great-granddaughter of Heitor da Silva Costa, the architect and engineer behind the statue. She gave me access to all his photographs, diaries and the wonderful film she had made about the construction. I was then fortunate to spend a week up in the hills at a beautiful fazenda (farm) which used to be an old coffee farm and I learnt stories of the old coffee barons, many of whom were descended from Portuguese aristocracy. I travel to France extensively as we have a house there. I love the cultural history of France, and of course, the wine! Me: Tell us one trait of Maia, your protagonist of The Seven Sisters, that intrigues you the most. Lucinda: Her vulnerability, both in her approach to relationships and how this has kept her at Atlantis whilst her sisters have ‘flown the nest’. Me: Describe your journey so far as an author? And do you consider it to be an enjoyable experience so far? Lucinda: Aged 22, I became ill with glandular fever. As I was not able to work, I wrote my first novel and got a three book deal with Simon and Schuster. 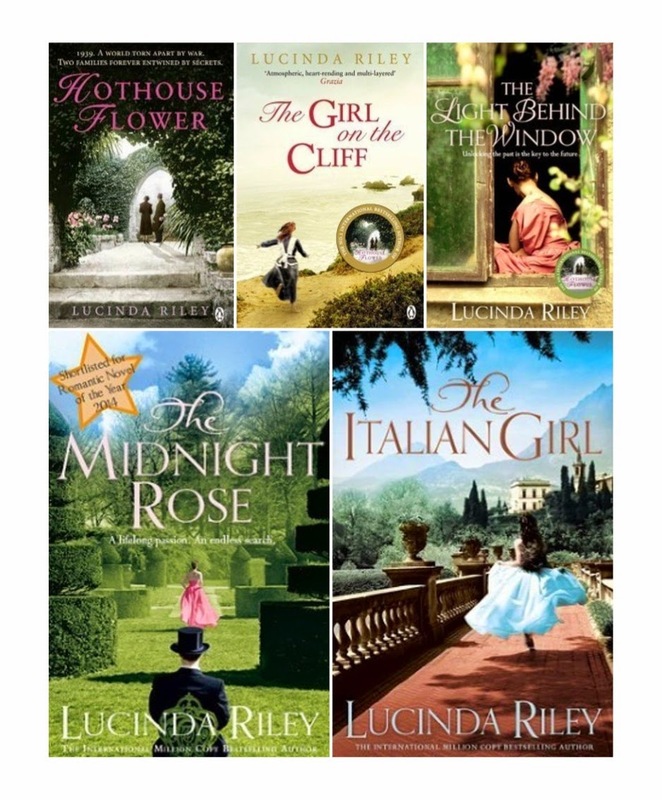 I wrote seven more novels under the name ‘Lucinda Edmonds’ and they actually did very well. But by then I was writing a book and having a baby a year and something had to go. So I concentrated on being a Mum for six years. Then, about five years ago, when my youngest had started school, I got the urge to write again, and so came up with ‘Hothouse Flower’. Once the book was completely finished, I let my agent sent it out, but as ‘Lucinda Riley’, so that I’d be judged as an unknown novelist without a track record. And six books later, I am celebrating selling over 5 million copies worldwide and am published in 38 countries. I am sure that life experience has improved me as an author. When I read my first books, I realise how innocent I was. Today my characters have far more depth and I definitely use some of my own experiences when I’m creating them. The phrase ‘older and wiser’ rings very true. I love writing books – I am a storyteller at heart. I find the promotional tours exhausting but I really enjoy meeting my readers as they inspire me and give me confidence to carry on writing. Me: Was it always your one true dream to be an author? And what other passions do you have besides writing? Lucinda: I always had a very vivid imagination and as a child spent much of my free time making up stories. After attending drama school where I learnt to dance (I love dancing! ), I started my working career as an actress. When I got the scripts and read them through, I always used to re-write my characters plot – in my head at least. So I was probably always going to be a writer. But my overriding passion is always going to be my family. Me: You have written quite a few books under Lucinda Edmonds name. Why did you write under that pseudonym? And will you write any more books under Lucinda Edmonds pseudonym? Lucinda: I won’t be writing any more books as’ Lucinda Edmonds’. However, due to demand from publishers and readers, I am slowly re-writing and publishing my old books, but under my name Lucinda Riley. The Italian Girl (previously called Aria) has already been published in UK, India, Norway and Germany, and The Angel Tree (previously Not Quite an Angel) is being published later this year. Me: So in the book, The Seven Sisters, what conclusion did you expect your readers to draw from after reading this book? Lucinda: I hope that my readers feel that the sisters themselves will all have a fascinating story to discover, as Maia does, and wonder who exactly Pa Salt is, why he adopted the sisters, and ….is there a seventh sister? Me: Since the book ends with a cliffhanger, I have to ask you this, what is the next book about? I suppose it is about Ally, the second sister? Lucinda: Yes, you’re right, it tells Ally’s story. “A talented sailor and musician, Ally falls in love with a man who competes in one of the world's deadliest sailing races, and tragedy strikes. This leads her to leave her old life on the water behind and follow the clue her father left her to Norway. There, she begins to discover her past – and the story of a young woman, Anna, who lived there over 100 years before – and her links to the composer Edvard Grieg and his world famous music set to Ibsen’s Peer Gynt poem. I am just about to start writing Book 3, Star’s story, and I plan to finish it by early 2016. Me: Thank you so much Lucinda for sparing time to have this interview with me on my blog. I can only wish you luck in all your future endeavors. Lucinda Riley was born in Ireland and wrote her first book aged 24. Her novel ‘Hothouse Flower’ (also called ‘Orchid House’) was selected by the UK’s Richard and Judy Bookclub in 2011 and went on to sell over 2m copies worldwide. She is a multiple New York Times bestselling author and has topped the bestseller charts in four European countries. 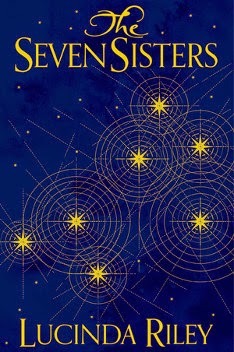 Lucinda has now begun an ambitious seven book series, ‘The Seven Sisters’, which is based allegorically on the mythology of the famous star constellation. Concurrently, and in response to demand from her readers, she is rewriting and republishing the eight books from her early career when writing under her maiden name of Lucinda Edmonds. Her books are translated into 28 languages and published in 38 countries. She lives with her husband and four children on the North Norfolk coast in England and in the South of France. Oh, I am going to be going to Geneva in Switzerland next month! Heehee, it made me happy to see it was there. And having three sisters myself I do like the idea of it being centered around them. Ooh that's nice, have a lovely trip there. Oh, I don't know about that, since I've a younger brother.